Please know I am only sharing based on my personal experiences. I understand the care of a special needs child varies greatly. Today I hope to share some encouragement from God’s word to your heart as you make the best decisions you can for your individual parenting situation. I sat on the floor next to her begging God to calm her spirit. We were almost 2 hours into our daily bedtime battle. Tears streamed down my face as she continued. I had been roped into her nighttime rituals and I didn’t even know it yet. The compulsive checking, counting, evenness testing and repeated words started once again. Our other 4 children huddled in the other room tried to get to sleep despite the chaos. I had lost all hope….. Your child’s special needs may look different than our daughter’s. In our family, we battle anxiety, OCD and ADHD. But there is one thing that seems universal. 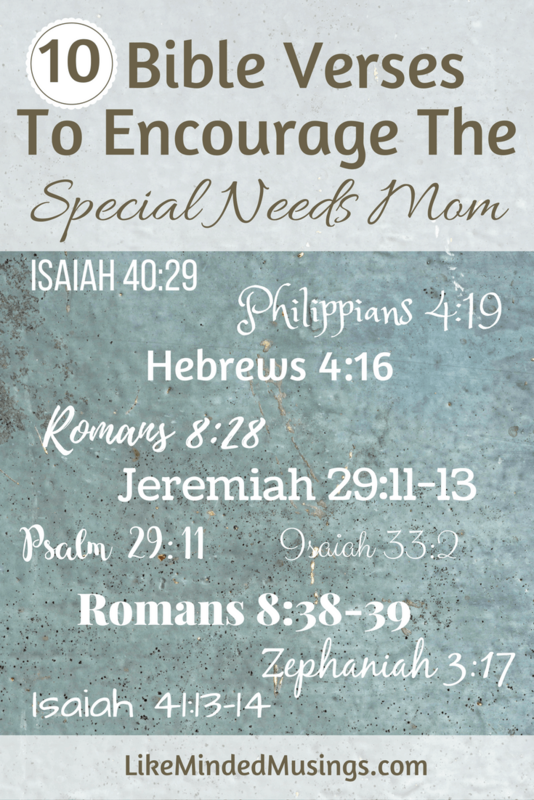 Special Needs Mothers need encouragement! As I talk with more and more moms of children with special needs, I see 3 lies that rise up again and again. Today I want to help you fight back Biblically against those lies! I hope to give you some much-needed encouragement in being a Mom of a Special Needs Child. 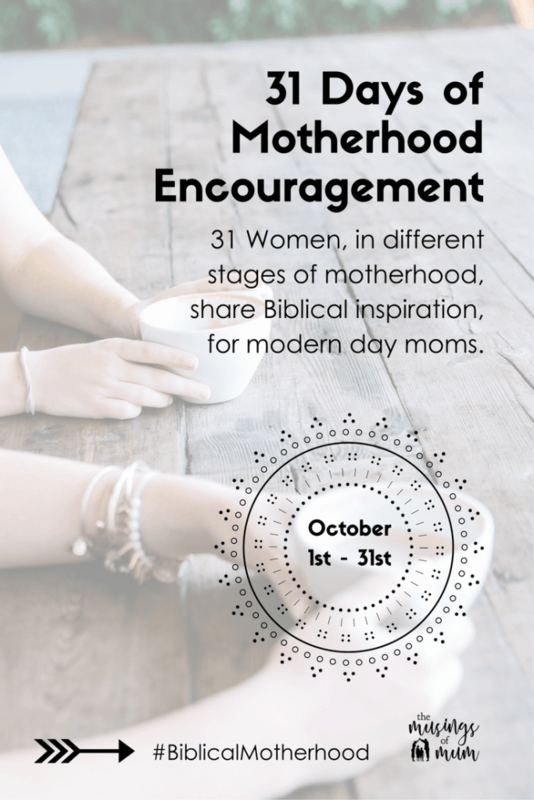 Join me over on The Musings of Mum 31 Days of Biblical Motherhood Encouragement and connect in the Closed Facebook Group! Keep fighting the good fight Mom! 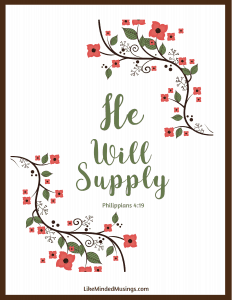 He will supply all our needs. Don’t forget to grab your printable to help encourage you to keep your focus on Christ! For access to this printable and all the other tools in our FREEBIES Hub – Enter Below! Please let me know your biggest struggle in special needs parenting. I would love to pray for you! Previous Post: « Why Don’t I Want My Daughter to Have Self-Esteem?